I love trying to inject positivity into the world. It certainly seems like there’s enough negativity floating around, so I like to do my small part to counteract that. One small way I like to do this is by focusing on the good things people do. Finding ways to uplift them. This is one of the things I miss most about not teaching my dance fitness classes. My goal with my classes went beyond giving my participants a good workout. I also aspired to make their day just a little better. I shared my teaching philosophy with my assistant team, and we worked together to make it come to life. Whether it was cheering them on in class, having them co-lead a song up front (with the cheers and encouragement from their fellow participants), or just paying them a small compliment. My assistant team and I worked really hard to create a positive and uplifting environment that went beyond booty-shaking and getting a good sweat. We loved being encouragers! 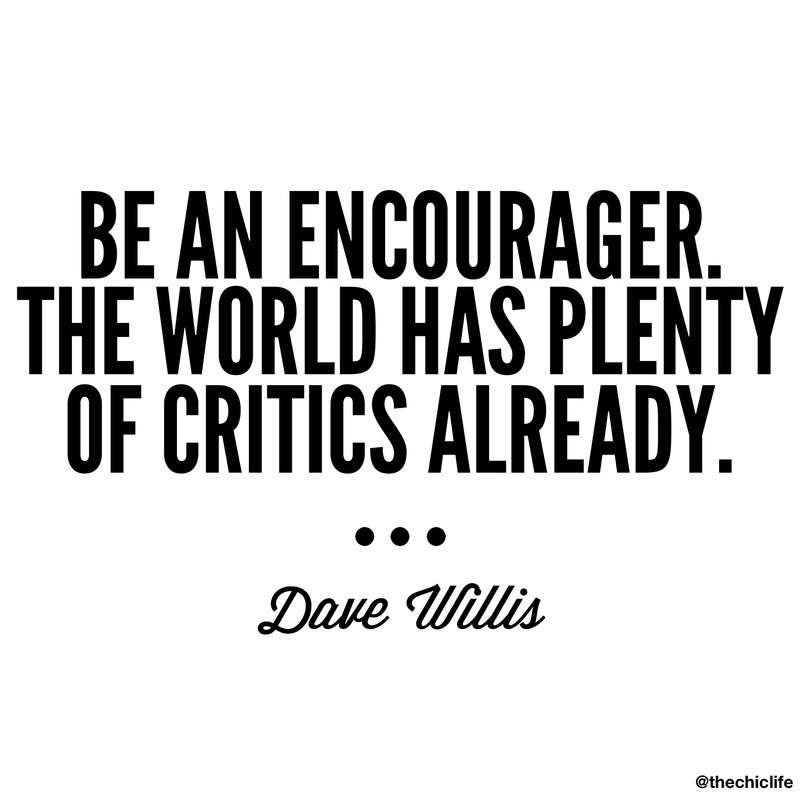 What is one way you can be an encourager? Agreed! I believe if you do good things to people, good things will happen to you; If you do bad things to people, bad things will happen to you! We all benefit from such so why not try to enrich each other!